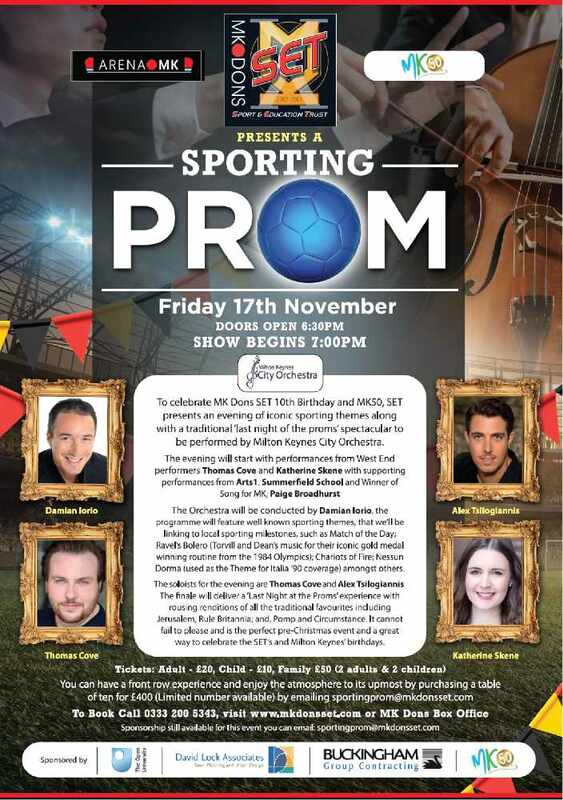 To celebrate MK Dons SET 10th Birthday and MK50, SET presents an evening of iconic sporting themes along with a traditional ‘last night of the proms’ spectacular to be performed by Milton Keynes City Orchestra. We're giving away a pair of tickets every day this week on MKFM Drive. The event itself will take place in Arena MK on Friday 17th November with the proms beginning at 8pm.